The other day listening to a talk on energy medicine, stress was being laid on the importance of “crossing over”, of strengthening the link between both hemispheres of the brain. As I did the exercises, it occurred to me that the same is true for other non-human animals and I began to think about some of the techniques used in TTouch. Some of what we cal l “connecting touches” such as the lick of the cow’s tongue cross over the midline of the body as the hand slides over the spine. Then I began to consider the wraps that we use. The Figure of 8 and Full Wrap both cross the midline of the body. 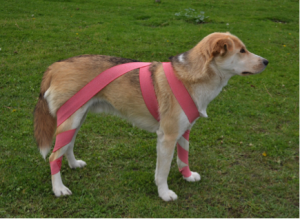 Another wrap which most definitely fulfils that purpose is the diagonal leg wrap which joins one foreleg and the opposing hind leg, so both sides of the body and brain are linked. 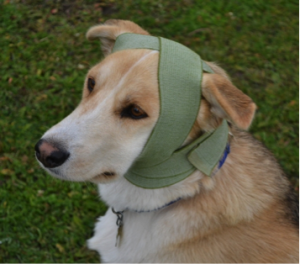 Another wrap which crosses over from one side to another is the bonnet wrap which crosses over the skull between the ears. A useful technique used in TTouch which coincides with the energy medicine exercises being taught is when we make small circles on either side of the spine starting at the base of the skull and working down to the base of the tail. Sometimes it is enlightening to look at our TTouch techniques from a new perspective. Why not explore for yourself?